Few games are as iconic and timeless as roulette. Even if you have never played this table game before, you can probably clearly picture the wheel spinning around as the little ball hops from one number to the next. This is the first game that comes to mind for most people when they think about a casino. Yet, there are lots of interesting facts about roulette that you might not know. How did this game become so popular? And more importantly, what does the future hold for it? At the heart of roulette is a very simple concept. A wheel is divided into numbers that range from 1 to 36. These numbers are alternately coloured red and black. There is also a zero, and sometimes a double-zero too. Around the table are the different bets that players choose from. These include betting directly on which specific number, number range or colour will come up. It is also possible to wager on an odd number, an even number, a high number, a low number or countless other available bets. To place a bet, you simply place your chips on the bet that you want to make. The dealer spins the wheel and sends the ball spinning in the opposite direction to the wheel. Everyone then just holds their collective breath, as they wait to see where the ball will finally land. 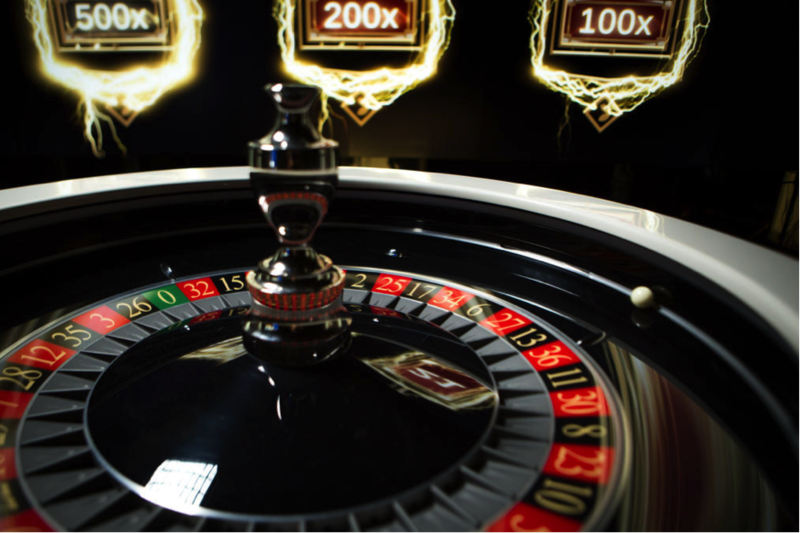 It’s believed that people have been playing some form of roulette since the 17th or 18th century. Different stories mention it as originating from either France or Italy, with Blaise Pascal credited by some sources as being the inventor of the wheel. While it’s unclear when and where the very first game of roulette was played, the first hard evidence of the game dates back to 1796. This is the year when a game very similar to modern-day roulette was played in the Palais Royal in Paris. The book Roulette, Ou Le Jour was written by Jacques Lablee and published at the start of the 19th century. In it, we can find a fascinating description of an early roulette table that doesn’t sound too different from the tables that are used these days. There are earlier, passing mentions of roulette in books, but this is the first clear description that lets us imagine how players enjoyed the game several hundred years ago. By the 19th century, it was possible to play roulette in many parts of Europe. The game had also arrived in North America by this time. The global expansion of the game led to different variants appearing, which we will look at in the next section. The type of roulette game that you play will depend largely upon where in the world you play. The arrival of roulette to different parts of the world led to numerous variants appearing – all designed to appeal to local casino players. The biggest difference you are likely to see is in the use of the double-zero on some tables. This was a tradition on some wheels in Europe and was carried across to the US, but eventually died out in Europe. Therefore, the double-zero is currently only present in American versions of roulette. Obviously, this gives the wheels a different look. However, it doesn’t affect the possible pay-outs. You will typically find that winning bets pay out the same in just about any of the roulette variants, regardless of whether there is a double-zero on the wheel. Unfortunately, a double-zero has a direct impact on your likelihood of losing. When the double-zero is present, you have a slightly lower chance of picking the right number. As we’ve seen, this simple table game grew over the centuries and expanded to become popular all over the world. Yet, the start of the 21st century brought with it an exciting new way of playing. One that opened up the game of roulette to millions of new players worldwide. The emergence of online casinos changed the scene like never before. Even if you have never set foot inside a casino, you can go online and give this classic game a try at any time. With mobile casinos now commonplace, it’s possible to play anywhere from even the simplest mobile device. Advances in technology have also led to live-dealer roulette games. This is a way of playing that recreates the atmosphere of a land-based casino on the screen. A live video stream lets the player see the dealer and the result is determined by a real roulette wheel, rather than a random number generator. Most good online casinos have an extensive selection of roulette games. These typically include European, American and high-roller roulette, with other variants including Bitcoin games and multi-wheel roulette. This means that you can play American roulette in Europe, European roulette in Asia and whatever other version that you want to try, provided that you live in a country where online gambling is legal. It is easy to think that roulette is a game of pure luck. After all, no-one has any real idea where the little ball is eventually going to land, do they? The fact that luck plays such a big part in this game hasn’t stopped players from trying to create roulette strategies that help them to win more frequently. The following are a few of the most common strategies you are likely to come across. Flat bets. This is the most basic strategy. All you have to do is bet the same amount on every single spin. If you use this approach, then the house edge, which is always slightly in favour of the casino, means that you are probably going to lose a small amount over time unless you get very lucky. Martingale system. This is one of the most well-known betting strategies. Basically, you just increase your wager when you lose while betting on the same outcome as before. It is most typically used on outside bets like odd or even / red or black. D’Alembert system. In this case, it is quite similar to the previous strategy. However, the difference is that you raise your bets by smaller amounts to try to avoid big losses. Fibonacci system. The Fibonacci sequence of numbers begins 0, 1, 1, 2, 3, 5, 8, 13, 21 and 34. When you use this strategy, you need to follow this same progression when you lose, while winning leads to you taking a couple of steps back. Reverse Martingale system. As the name suggests, this is pretty much the opposite of the Martingale system. You look to take advantage of a lucky streak by increasing your wager after you win. James Bond strategy. As one of the most famous casino players, it is no surprise to see a roulette strategy based on the 007’s movies. This is a flat betting system in which you bet on a number of different outcomes at the same time. Other popular strategies include Labouchere, Whittaker system, Dozens and Columns, Hollandish and Oscar’s Grind. Some are fairly simple to carry out while others need a decent amount of effort put into them. What Does the Future Hold for Roulette? It’s clear that the appeal of roulette is as strong as ever before. Modern technology has also helped bring this classic game to even more people, through the extensive archives of online casinos with roulette games. Roulette may be a relatively simple concept, but the years to come are likely to bring even more incredible technological advancements into the game. For example, it won’t be long before online casino gamers worldwide are using VR technology, in order to enjoy the most immersive online gambling experience to date. Still, however the game of roulette shifts and evolves going forwards, it will remain an all-time casino classic with millions of fans and followers worldwide.